Eve would be very disappointed if Adam won't find vegetables to eat. Her cauldron is empty and they are running out of time. Don't waste this beautiful day and try your best to get some food. 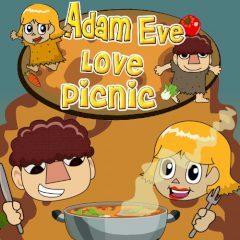 On this sunny and beautiful day Adam and Eve went to have a nice picnic, but they completely forgot about one major thing. They didn't bring food with them, so there is nothing to eat. Eve will be very angry is her cauldron remains empty, so Adam should find some vegetables to fill the cauldron with. Can you help him to do that?